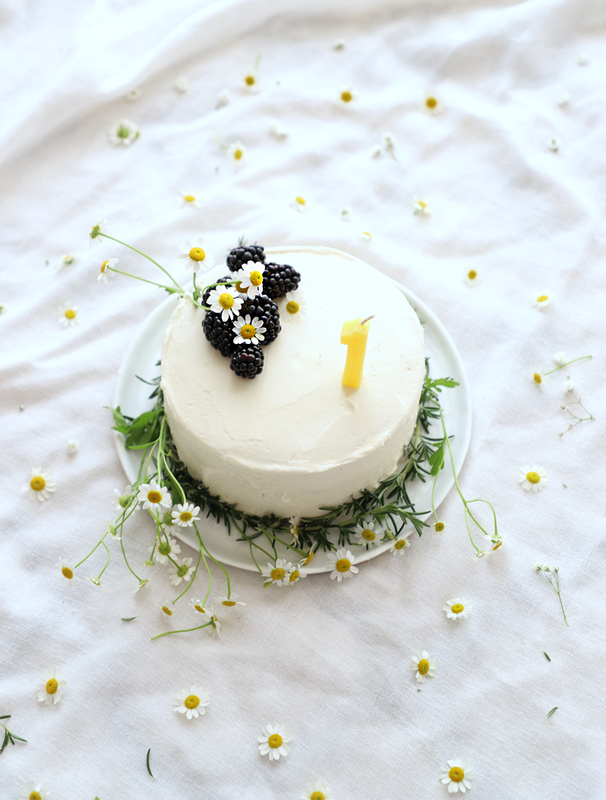 For Cole’s one year celebration, I decided to forgo the big party for a couple reasons. 1) Colette’s birthday is two weeks before and we just had a big party. 2) since he is only one I know he wont hate me for skipping a big party 3) I had big parties for the girls at one years old and it is mostly for the parents, therefore, since it is about Nick & I, I went with what I wanted to do which was a smash cake photo shoot for his birthday. And Nick went along because that is what I wanted to do haha. I loved doing all of it. I, in fact, have more pictures of Cole at his first birthday than I do of the girls cuz it was not a big party and just our family of 5. 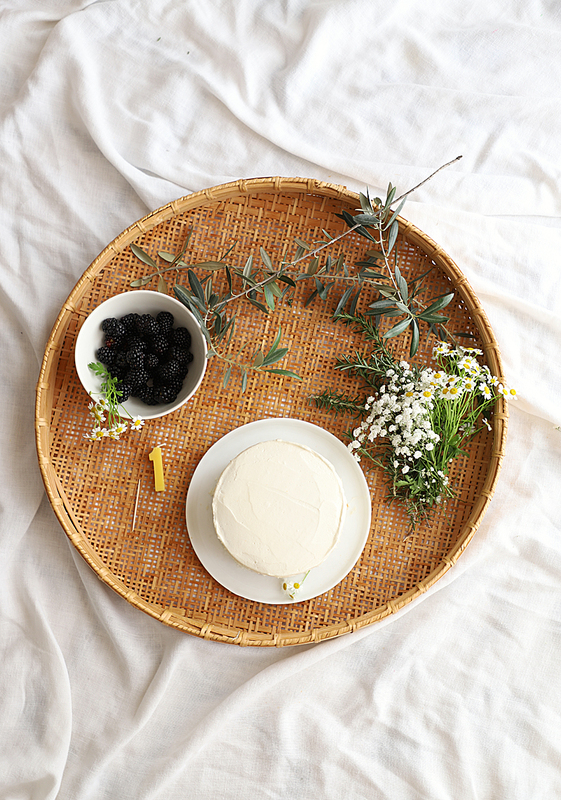 You can order a cake with white icing or make one on your own, I wanted the frosting PERFECT for the photos, so I ordered a small one from Whole Foods. 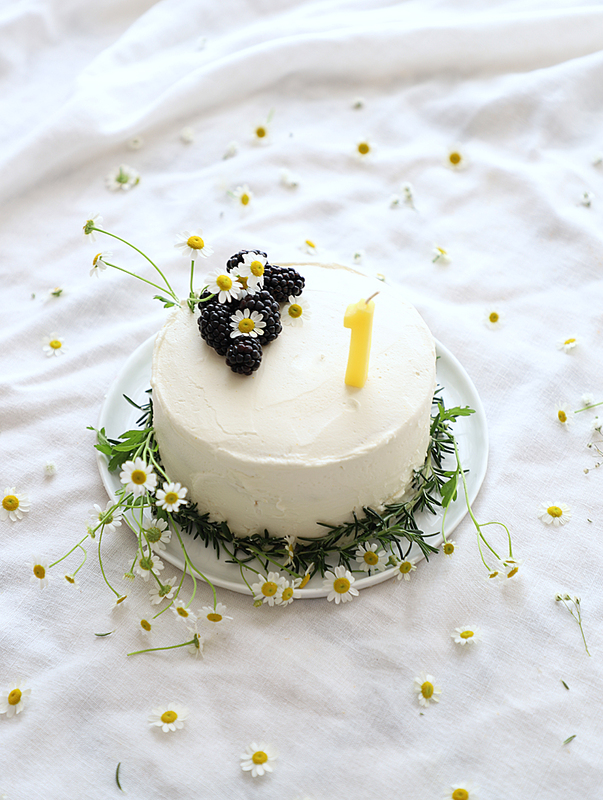 I gathered rosemary, chamomile flowers and blackberries (Cole LOVESSSSS blackberries so it was happenstance that it happened to go so well) for decorating the cake. I lined the bottom with some rosemary and chamomile, in hindsight, I am not sure the rosemary was necessary, but I used so much greenery for the shoot- eucalyptus & olive branch wreaths and crowns, I wanted greenery on cake to flow with the shoot. 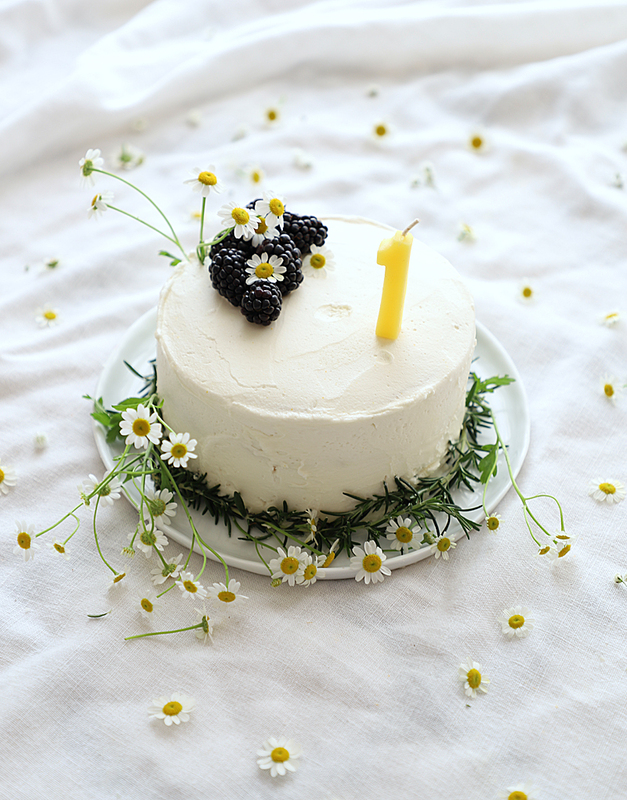 Popped on a couple blackberries and chamomile on top and Whole Foods happened to have a perfect yellow number one candle that matched the chamomile! 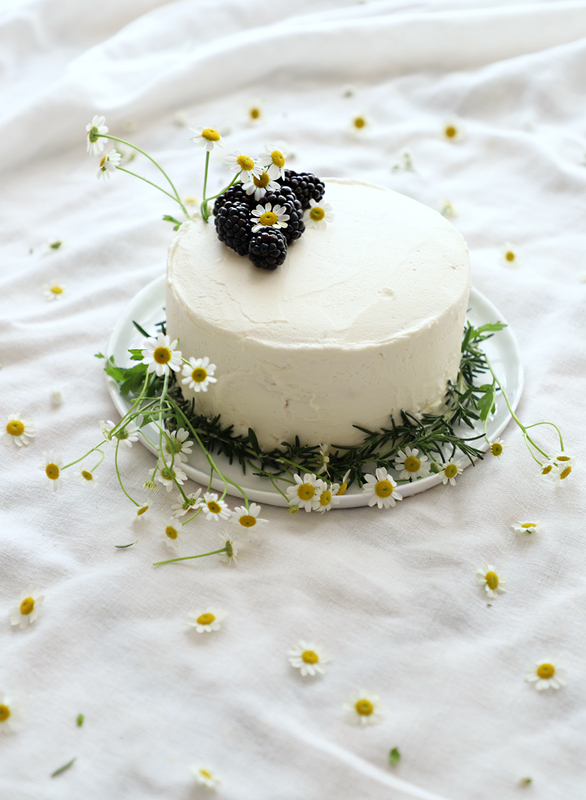 I love how it came out, as I wanted floral accents without being feminine and I think this blackberry chamomile cake achieved it! Happy Birthday to our little guy that makes our family complete!